Bove was one of the first professional members and accredited trainers of Reckon® software. Today this service is managed by our associated company Chrisalex which was incorporated to provide ‘bespoke’ training and bookkeeping services to micro businesses and SMEs throughout Australia; a service which is unconditionally supported and guaranteed by specialist taxation accountants. comply with the obligations set out in the Code of Professional Conduct pursuant to Division 30 of the Tax Agents Service Act 2009. Have you prepared a Succession Plan? What about a Will? The reality is that business owners work extremely hard and find it increasingly difficult to allocate what time they have left to consider the one thing in life that is guaranteed; death and not taxes! Consequently, we take our lives and our loved ones for granted. 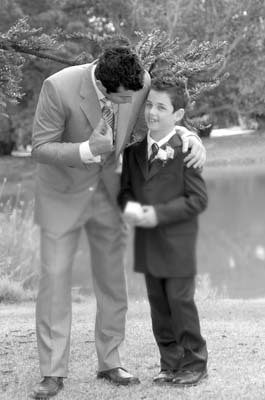 Bove has assisted many clients confronted with unfortunate circumstances such as the sudden death of a loved one. Our services range from, liaising on behalf of clients with their professional legal representative, to dealing with technical/complex matters relating to the administration and distribution of the estate. We understand how difficult this time can be and for this reason, it is important your trusted adviser ensures that the final wishes of the deceased are respected and fulfilled. In an unforeseen circumstance what would happen to your business and your loved ones? Bove ensures available resources are used efficiently and effectively to facilitate clients in co-ordinating the efforts of their people to achieve desired goals and set objectives. Bove assists in the planning, organising, training, leading and directing of a client’s business to navigate towards achieving a desired result. 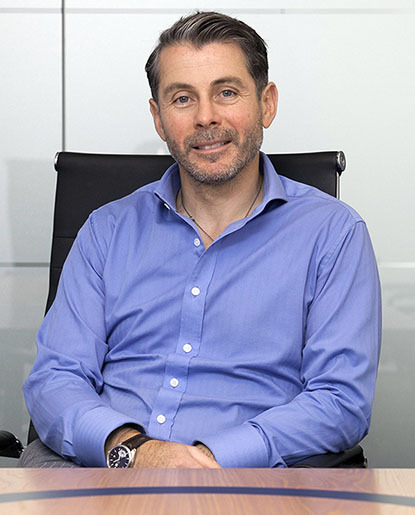 Bove is passionate about business management / development and employs techniques such as eiQ to embed a fundamental and invaluable corporate culture. Deciding on a structure is complex and daunting, particularly when having to consider and deal with a myriad of possible circumstances that are overshadowed by legislation. Bove advises clients on the many aspects of structuring and restructuring, including when starting a business for the very first time. Whether it’s in the form of a joint venture, limited partnership, company or trust, Bove will advise as to the appropriate structure for you. Have you stopped to assess and calculate your ‘risk position’? Based on over 32 years of empirical evidence, business owners fail to address risk! Ensuring that your assets, wealth and investments are protected is one of the most important factors to deal with (before taxes), particularly when running a business. Bove specialises in advising clients on assessing and managing their risk. Bove provides corporate services to ensure compliance with the Corporations Act 2001(Cth) and associated statutory requirements. Bove complies with transparent disclosure of information amongst stakeholders and ensures that corporate and statutory records are accurate, complete and filed within the prescribed time lines. The word accounting is synonymous to money and financial matters. Consequently, all too often accountants and advisers focus primarily on “numbers” and “the bottom line”. Bove’s philosophy is that there are two “balance sheets” of accountability, financial and iTime. A healthy financial position doesn’t necessarily mean you are “healthy”. Bove skilled tax professionals devote themselves to staying current with existing and constantly changing tax laws. Through our expertise, research and continuing professional development, Bove works resolutely towards minimising the complexities of the tax process for clients. As Reckon® Accredited Accountants & Trainers, our team draws on over 40 years of specialist industry experience to help clients improve accountability and run their business. The reality is that business owners work extremely hard and find it increasingly difficult to allocate what time they have left to consider the one thing in life that is guaranteed; death and not taxes! Consequently, we take our lives and loved ones for granted. Over the past 30 years Bove has assisted many clients confronted with unfortunate circumstances such as the sudden death of a loved one. Our services range from, liaising on behalf of clients with their legal representatives, to dealing with technical/complex matters relating to the administration and distribution of the estate. We understand how difficult this time can be and for this reason it is important your trusted adviser ensures the final wishes of the deceased are respected and fulfilled. By using available resources efficiently and effectively, Bove facilitates clients in co-ordinating the efforts of their people to achieve desired goals and set objectives. Bove assist in the planning, organising, training, leading and directing of a client’s business to navigate towards achieving a desired result. Bove business advisory services extends to also include due diligence, appraisal and valuation services. Deciding on a structure is complex and daunting, particularly when having to consider and deal with a myriad of possible circumstances that are over shadowed by legislation. Based on 30 years of empirical evidence, business owners fail to address risk! Ensuring that your assets, wealth and investments are protected is one of the most important factors to deal with (before taxes), particularly when running a business. Bove specialise in advising clients on assessing and managing their risk. Bove provides corporate services to ensure compliance with the Corporations Act 2001 (Cth) and associated statutory requirements. Bove comply with transparent disclosure of information amongst stakeholders and ensure that corporate and statutory records are accurate, complete and filed within the prescribed time lines. Bove processes embrace client’s lives and importantly, their loved ones. Bove has the knowledge and experience to deliver results based on proven strategies which have shaped the long-term plans of our clients and their businesses. Now in its 6th year and in electronic form (also available in hard copy), Bove Financial Year Compliance File (FYCF) was introduced to assist clients at tax time. Designed by our Senior Principal, FYCF incorporates the spirit of the Tax Agents Services Act 2009 and in particular Division 30 Code of Professional Conduct.  As a Chartered Tax Adviser, Bove provides specialist tax services to clients in Australia and around the world.